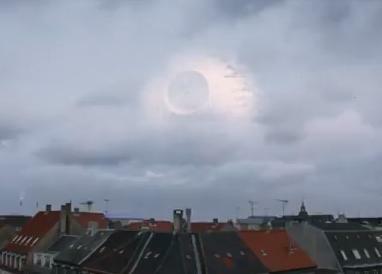 Home AdvertisingDeath Star spotted over Copenhagen! Run…run for your lives! We have been invaded! 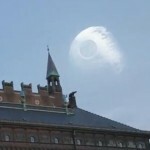 The Death Star has been spotted hovering over the rooftops in Copenhagen. 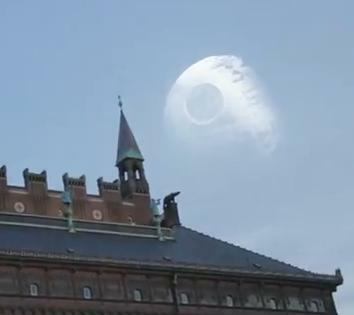 Toys “R” Us…and more to the point the advertising agency handling their account in Denmark called Advance…have outdone themselves with this Star Wars inspired commercial. 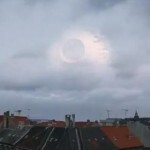 I’d say with all the Star Wars ads we’ve been seeing the last couple of years we are right on the edge of overexposure. But this one is somehow kind of subtle and undeniably cool. Oh, and it’s sure nice to know that even cranky Darth Vader still likes to play from time to time.